Hearthstone: 'Elemental Sundering' – Al'Akir the Windlord – AiPT! 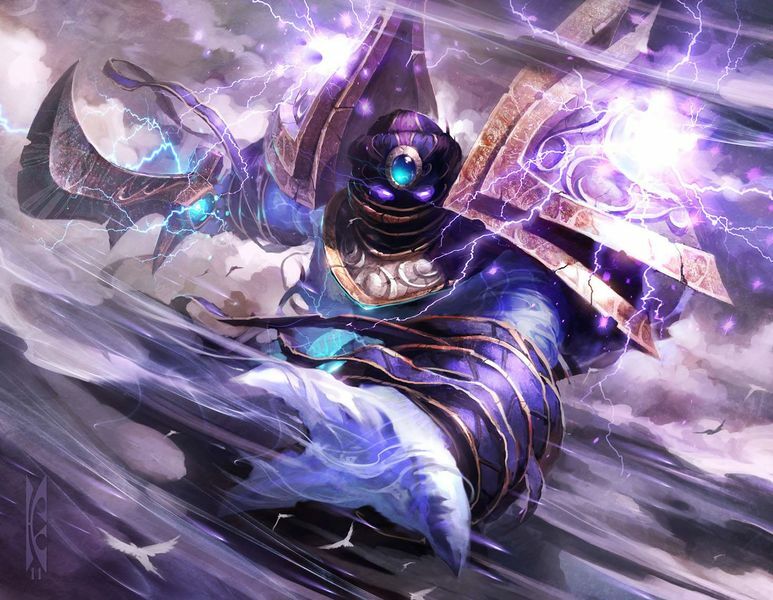 The Lord of Air, Al’Akir has the honor of canonically being the weakest of the four Elemental Lords. To make up for this, he’s quite the powerhouse in this brawl. Jumping from the Shaman class’ first legendary minion to a full on Hero, this guy’s deck is centralized around buff synergies. Imagine Djinni of Zephyrs, and then create a deck with the mechanic. I hope you enjoy. The ultimate button. Infinite guys = Infinite value. Trump would be proud. Next Up: Therazane the Stonemother.